Two more One Piece characters join the fray. 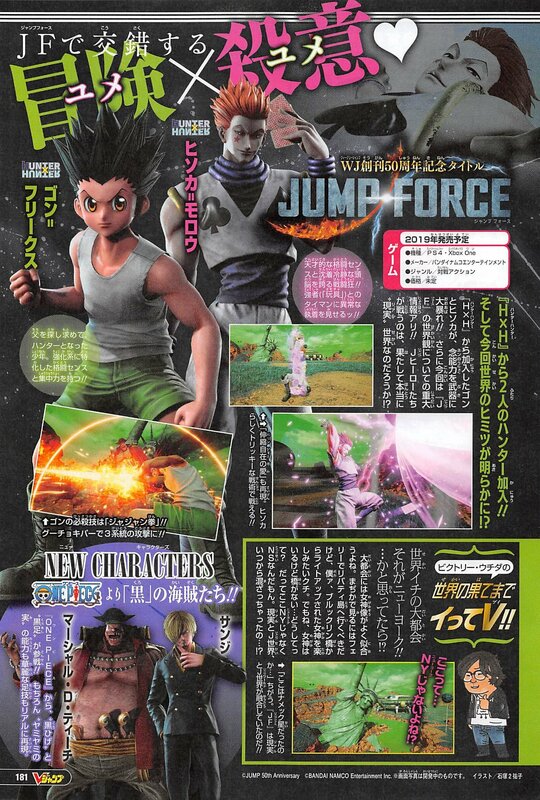 Marshall D. Teach and Sanji from One Piece will be playable in Jump Force, the latest issue of V-Jump reveals. If you missed it yesterday, the latest issue of Weekly Jump revealed that Hunter x Hunter characters Gon Freecss and Hisoka Morow will also be playable. Update 12:30 p.m.: Scan added.